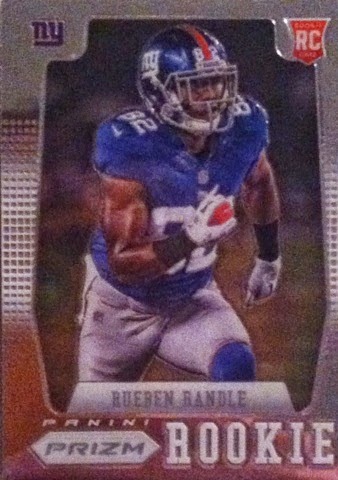 This weeks Rueben Randle PC Card Of The Week is a simple one. 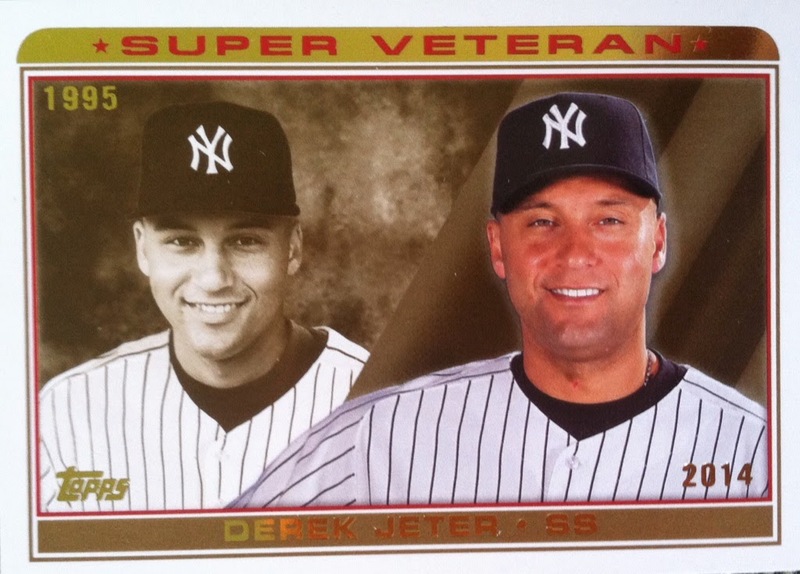 I have always wanted another company to come out with their own version of Topps Chrome and that's exactly what Panini did. One thing I like about their version more than Topps is the fact these cards don't bend due to the fact the chrome is thicker. Stop what you are doing! There is no time for that. You need to check out what arrived in my mail box first!!! Once you see what I got, you will not only be happy that you stopped what you were doing, but you may want to check this post as many times as you can because you won't believe I won this card for FREE in a contest. I know I can't take my eyes off from it. Every month the people over at Beckett Auctions put up a card you can win. First it was a Michael Jordan auto. Than it was a 1/1 Wayne Gretzky auto that was soon followed up by a Kobe Bryant auto. At first, I gotta admit I was a little hesitant. I mean, who just gives away autos from top stars in the hobby. However, with last weeks announcement that I had won July's contest, I can now say first hand that they actually do. 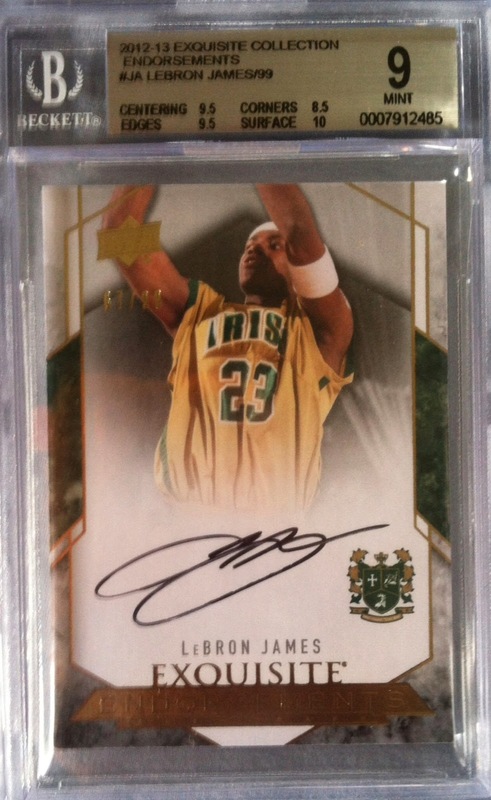 July's prize arrived yesterday and inside of the box labeled Beckett Media on the outside of it, I received in this graded LeBron James 2012-2013 Upper Deck Exquisite Collection autograph.It is just simply stunning to say the least. All I can say to you now is good luck. This is not a joke. They are really giving some incredible prizes away and I would like to thank them again for mine. This is by far the best card in my collection. 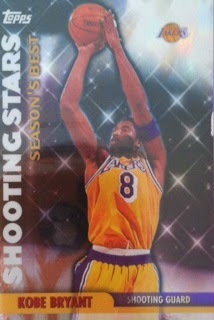 Labels: 2012-2013, auto, basketball cards, Exquisite, Lebron James, What's In The Mail Box? LeBron James Is Going Home...With Me! Earlier this month LeBron James announced that he was going home to Cleveland to play for the Cavaliers. Yesterday, I went to my mail box and found out that he was actually coming home with me instead. I was overly ecstatic to win such a card. I know a lot of fans, even collectors, lost respect for LeBron when he left Cleveland for Miami but I didn't. Honestly, I guarantee if any of us were put in a situation where we could win NBA titles with our friends, wouldn't we have jumped all over that? Before his career is done, I expect James to pull home at least another couple titles and maybe break a few more records.However, I don't compare him to Jordan at all. There will never be another Jordan as he was one of a kind. With that being said though, LeBron will make his place in NBA history and will be someone that future players might be compared to. He is also someone I now have an auto card of that will remain in my collection, just like his legacy that will be left in the NBA. For a collector usually known to keep up with sorting, I have fallen behind the past few months with a busy schedule and trying to give you guys something to read with my three blogs. Not to mention, my sorting is much more indepth than a lot of collectors. I sort base cards by number then into 800ct boxes. 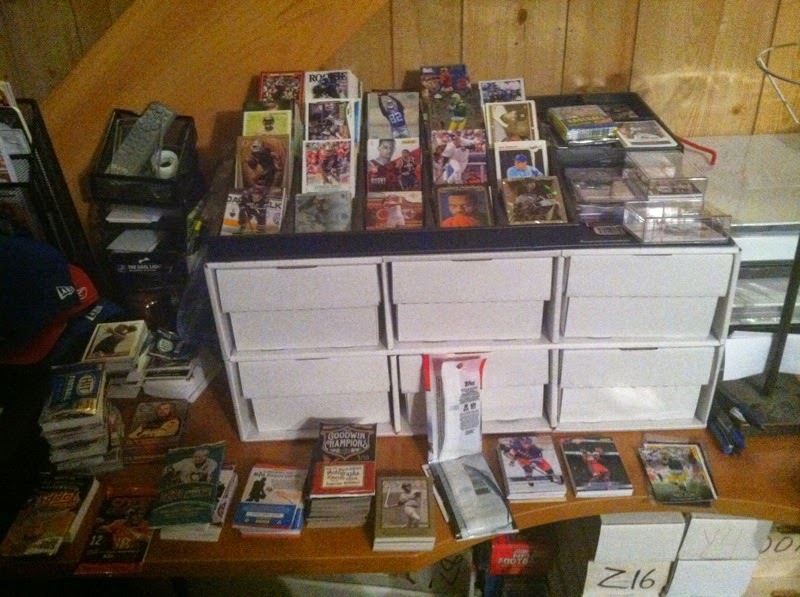 Then star players, NY Giants, NY Yankees, rookies, inserts, rookie inserts, all separated by sport, team, etc into binders. Then I have a doubles pile that even gets sorted into giveaways, freebies, etc. It takes a lot of time and is a lot of work to keep my collection somewhat organized. I plan on tackling this project, some of it dreaded, this week. Hopefully by weeks end I will have an updated picture for you to show you my progress. The Pack Gambler is also putting in a 50% off coupon to his store as well. However, there could only be ONE winner. This weeks winner wasn't hard to choose knowing they were the only one to pick the winner and exact score of the LA/SF game right on and that person is.....Rob Robinson. A big congrats goes out to him! Rob, please contact The Pack Gambler or myself via Twitter or email me at sportcardcollectors@hotmail.com with your address so we can get these cards out to you. A big thanks goes out to The Pack Gambler again for another great contest! If you haven't checked out their site yet, please do so. Also make sure you are following them on Twitter or have Liked them on Facebook. I think another great Pack Gambler contest is in store for August! Speaking of August, Week 1 of our August contest starts this week! Stay tuned! This shout out is a bit delayed because I already had posts in place for Saturday and Sunday, but there was no way I wasn't going to give a shout out for this great mail day. Last week, I won a Twitter contest from @RJDUB81 and the prize arrived not much longer after the win. 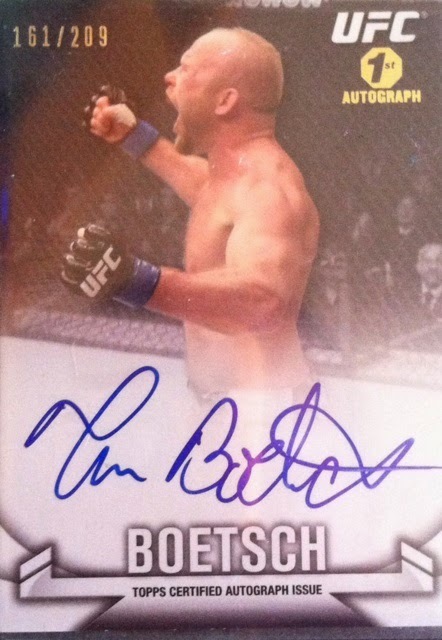 First off, I had a choice for the main prize which I chose a UFC auto. 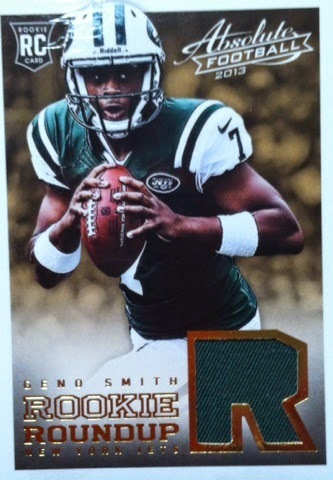 The key about this particular auto is that its a rookie one which fits perfectly into my rookie card PC. 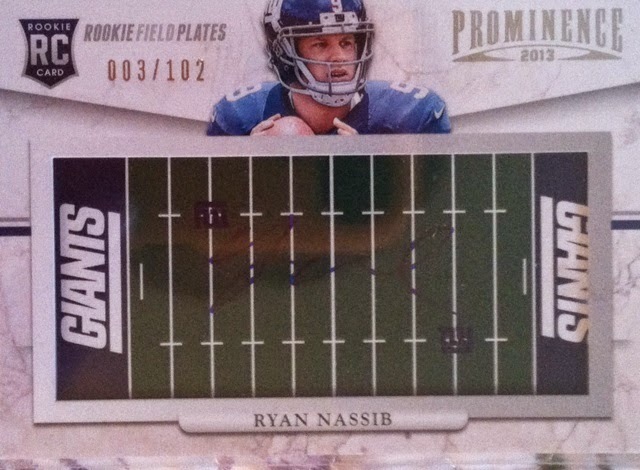 Secondly, he asked for my PC teams/players and here is what he sent from the NY Giants. 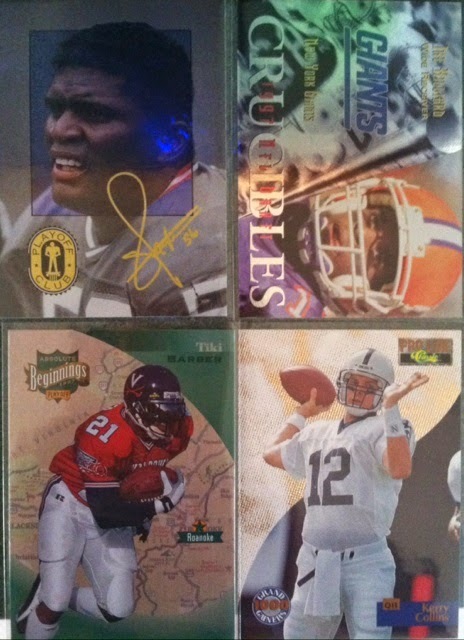 Not only are these cards Giants, but they are from my favorite era of collecting, the 90's. There were some sweet additions in the first part of the Giants part of the prize with LT Playoff insert from 1993, an Ike Hillard 1996 rookie insert, a Tiki Barber rookie card and one from one of my favorite all-time QB's in Kerry Collins. This was just the start. Up next, I saw this card of Hanspard/Barber and immediately fell in love! Really nice layout and it was shiny. My eyes are always drawn to shiny things! 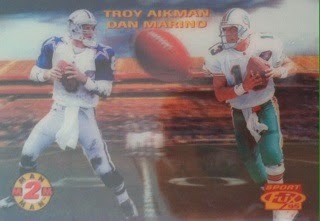 The final two were my favorites of the package, not that they all weren't great, but these two cards were stunning. The first one is this beauty. 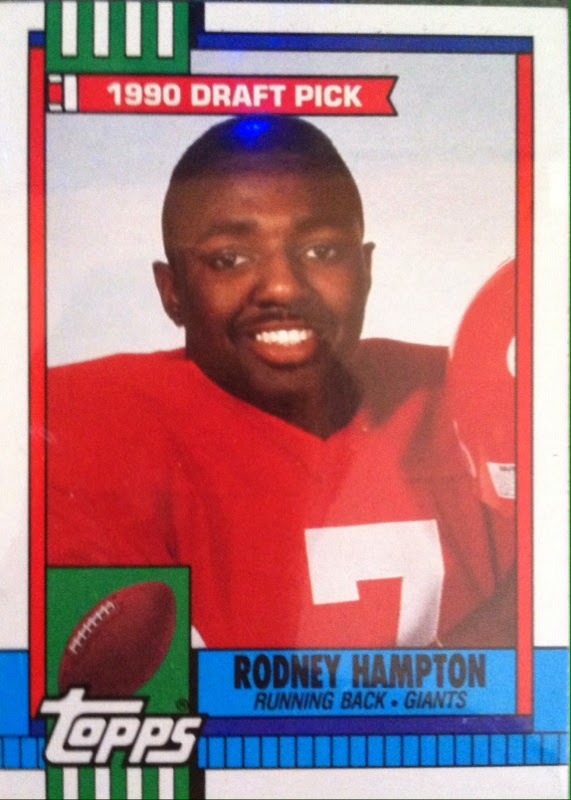 Great photograph of Rodney Hampton with hologram...DROOOOL! I have also never owned one of these so being my first and a Giant..WOO HOO! 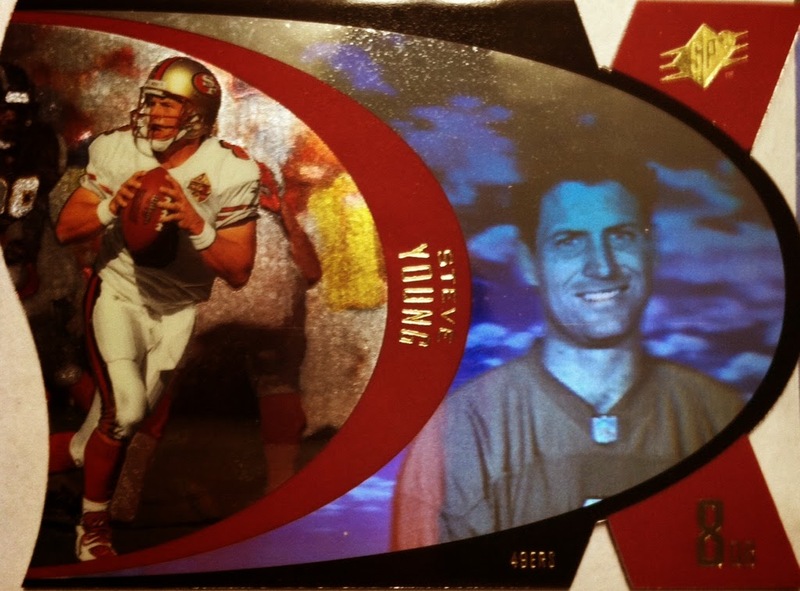 Finally, a 1996 Pacific Collection Litho-Cel of Amani Toomer with both the card and Litho-Cel card. I have never seen one put together up close and now I own one?!?!? Superb! Doesn't get any better than that. A huge thanks goes out to @RJDUB8 again for this mail day. If you have Twitter, I strongly recommend you go give him a follow for hobby talk, giveaways and more! NEW Posts On The Card Bin! If you haven't checked out my newest blog yet, go check it out! New posts daily on a variety of topics. 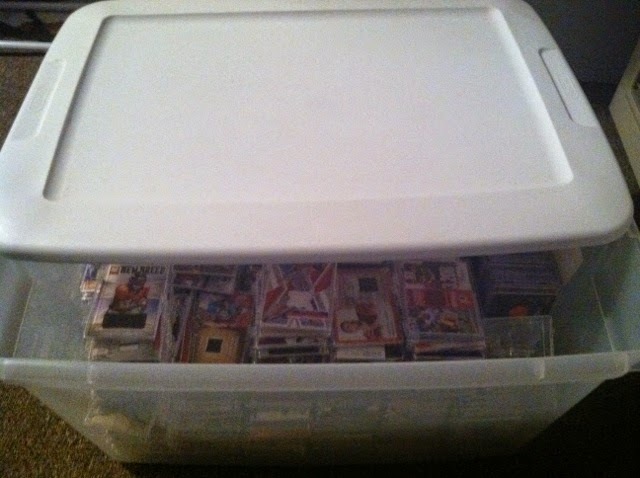 Today's post will be my first of the new segment, The Card Bin. When I asked both on Twitter and on Facebook if you guys would be into seeing a post about jersey and autographed cards in a bin that I haven't looked at in awhile the main response was YES! So make sure you check out The Card Bin later this morning for more! 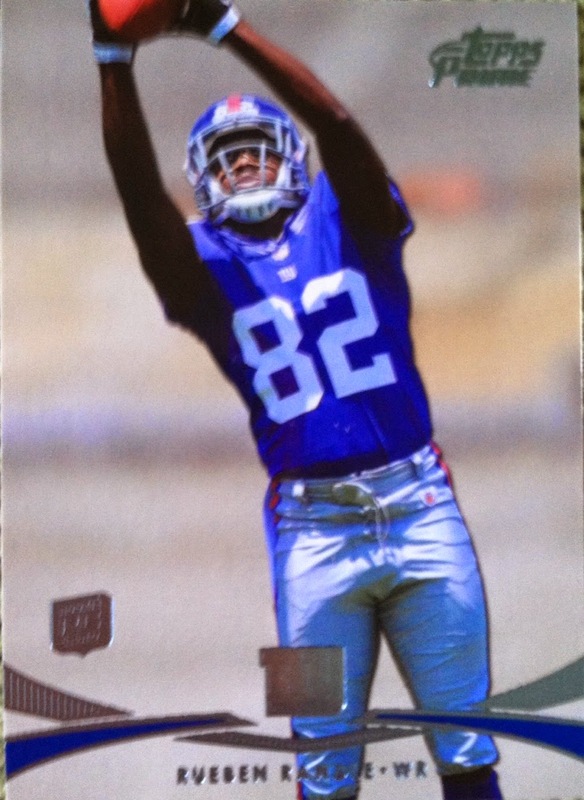 For this weeks, Rueben Randle show off, I went Bowman. First I must say that I am not at all a fan of this design. 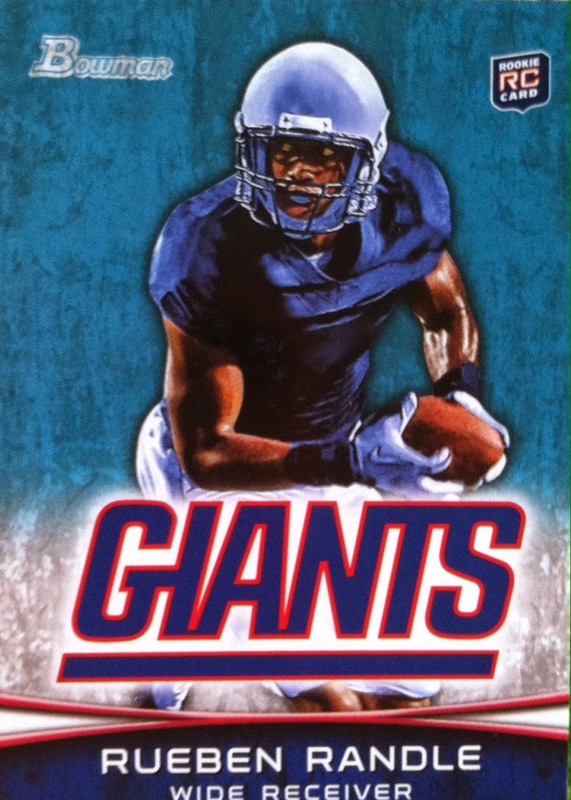 The artsy background, the logoless helmet, and the big writing on the word Giants. 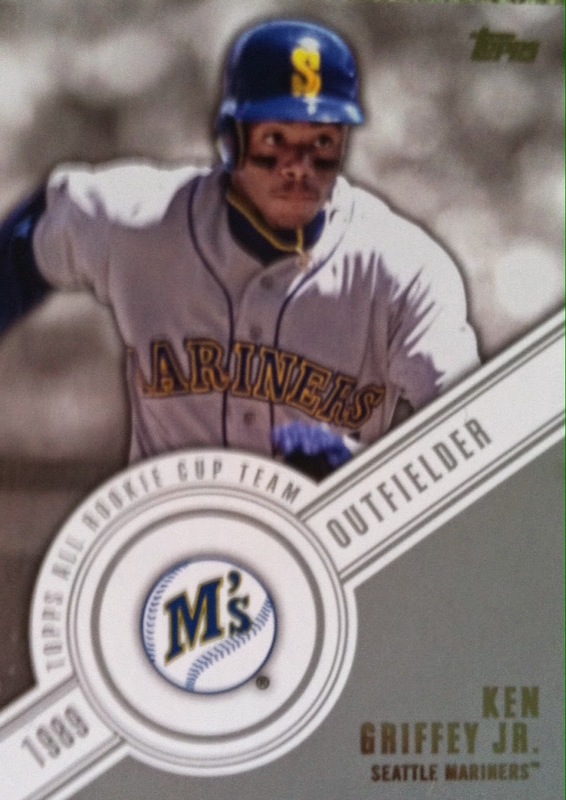 But, it is a PC piece and one I am showing off as my PC Card Of The Week. Well, though this is a sad topic for me as I will never be able to go, I am curious however, your guys thoughts on it! Have you ever been? What's the greatest part? Which booth is your favorite? How much do you usually spend when you go? What will you be looking to get this year? And so on and so forth. Just spill it! 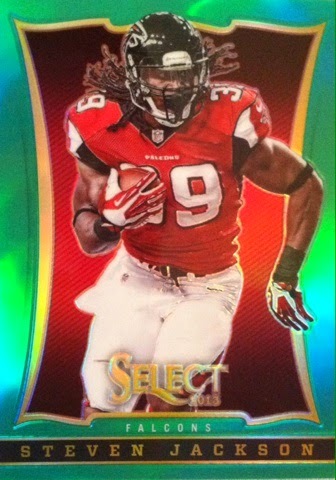 Unannounced Veteran Base Card Variations In Score Football 2014? 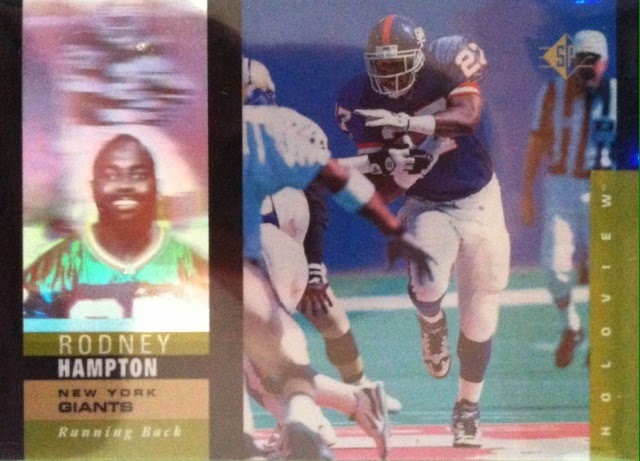 Last night while putting away my NY Giants cards into their assigned binder, I noticed something that struck me odd. 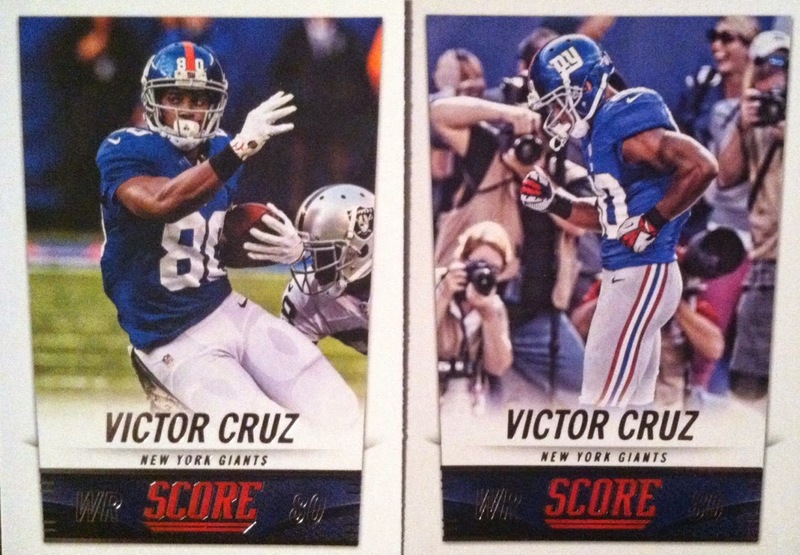 Three different Victor Cruz base cards from 2014 Score. I knew there was two with his regular base and the Top 100, but what was this third one? Upon further inspecting, I found out that the base card #144, had two different variations. I was excited, yet, worried at the same time. I was excited to have one, while worrying at the same time if I had more than one of these unannounced variations? I bought a ton of Score and have already sorted them tossing my doubles into a double pile and giving some away as well. OH MAN! So I did what any collector with questions would, I headed to social media to find answers and I knew the guy that would most likely would be able to answer them is Mr. Tracy Hackler. I asked him the tough question about these unannounced Score 2014 veteran base card variations and if I had missed info on these. I also asked if there was any info coming out if none had been released yet. @TracyHackler "You didn't miss it. I just found out about them today! I know there's 10 vet variations. More info to come." So for now, I am digging my doubles out of my double pile to keep til this info gets released because there could be hidden treasures within. Will keep you guys updated if I find anymore variations. Well, as you know from many posts on here about the product, I am a huge Spx fan. Especially between the years of 1996-1998 when they combined color, micro-etching and a huge hologram. But, recently when buying a box of the product, you can see that break on this blog, I didn't get a complete set of base cards. 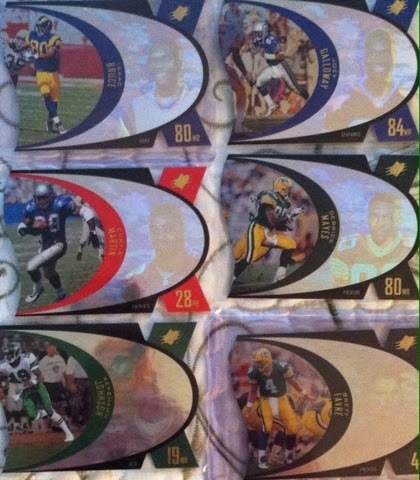 Knowing that I now had 1996 football complete, I had to have 1997 as well. So I went on a hunt to find my missing ones and my first thought was to hit up Jammin JDcards, who themselves just broke a box. Now I am only missing about 10 that I will need to hunt down elsewhere but I will not stop til I am finished and when I find them, I will show them off on here. As always, comments are encouraged on this mail day. 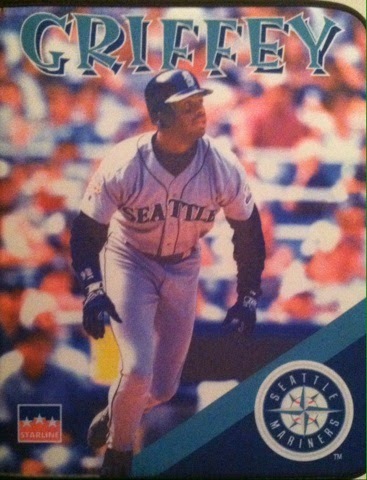 That's right...a Ken Griffey Jr trapper keeper. I keep it real. 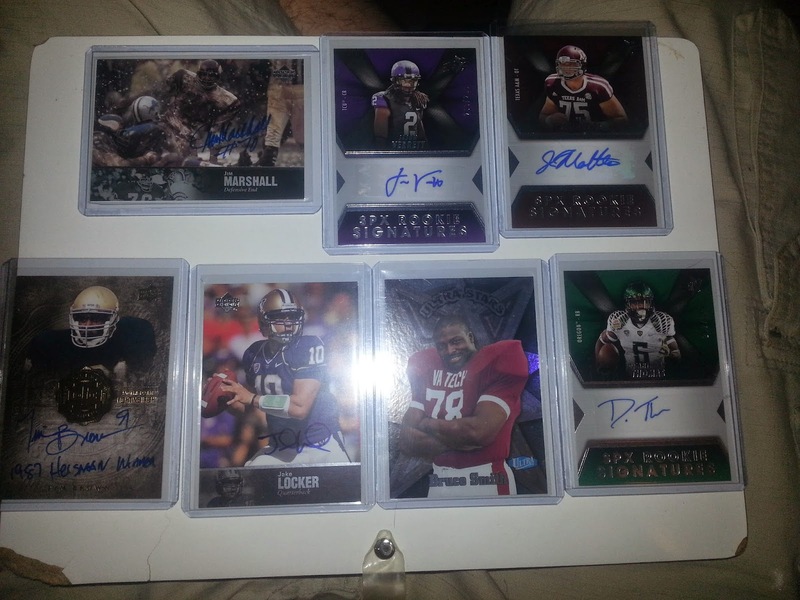 If you haven't checked out my other blog, The Card Bin, well why not? Some great posts up recently! 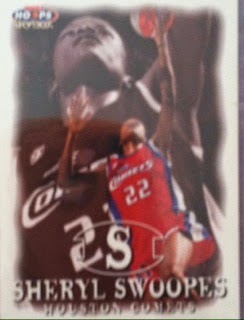 Including this one posted yesterday on Exclusive Card Licensing in the hobby. I have a ton more coming up as I will be revealing my Ken Griffey Jr collection, Rueben Randle, collection, more opinion stories. If you haven't subscribed to it, added it to your Blog list, or kept the link close by, I think you should! Thanks for all of the support on here and I hope all of that translates to there! 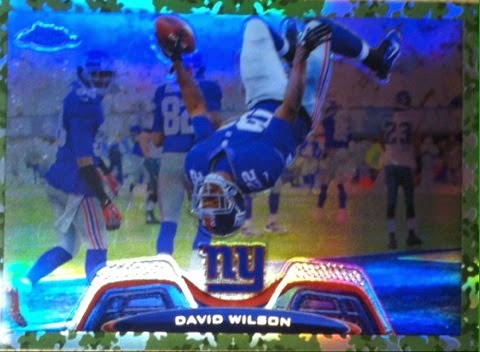 Last week, Twitter was a buzz over rumors that Topps will soon be losing their NFL license to a possible Panini exclusive. 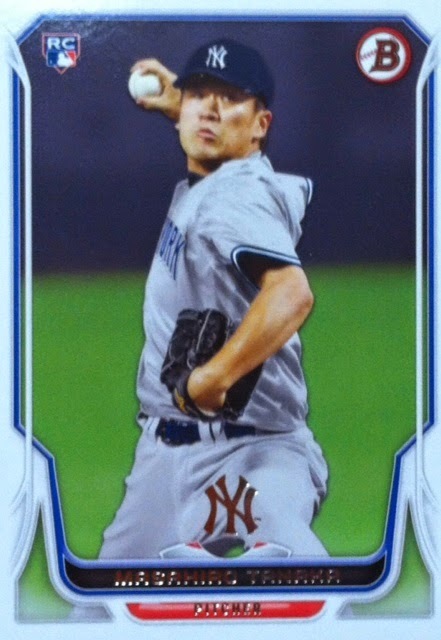 This would be the final big sport to no longer have more than one manufacturer making their cards. This news took many collectors by surprise also leaving many breathless. I know it did to me. 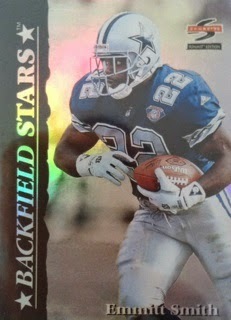 I couldn't imagine a football card season without my beloved Topps Chrome that I have collected since 1996. So before I go on my rant again about exclusive licenses, I wanted to clear the air. I am a big fan of Panini, their products and all of the fun promotions they run. My rant is not about them, its about license exclusives and how bad those are for the hobby. Now, I will rant. As us collectors can already tell, exclusives are not the best thing for the hobby. 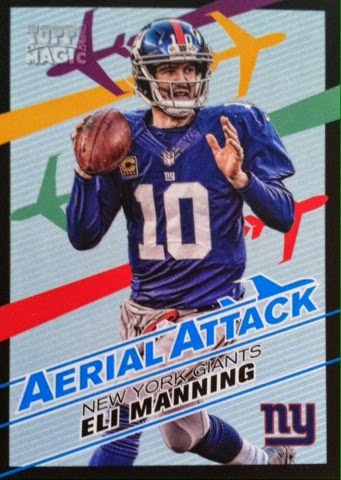 We already know this from the other two (going on three maybe even four with the NFL) leagues cards, so if this NFL rumor turns out to be true, this could only damage the hobby to me even more. 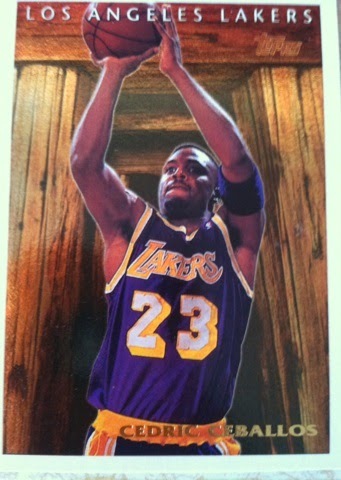 Show of hands, how many of us already complain about MLB and NBA cards? I know I can raise my hand to this and I see you raising yours as well. 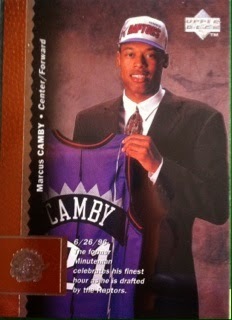 I have actually dulled down on collecting MLB and NBA cards since. I like variety and we all know variety is the spice of life, so what happens when there isn't variety? Our life goes tasteless? Does this hold true for the hobby when there is no longer any variety for any sport? Will the hobby go lose it's flavor? Exclusives to me, are like eating the same kind of cereal everyday as your only option. Sure, Honey Nut Cheerios tastes great, but would you honestly want to eat it everyday of your life without ever being able to try another brand of cereal? I strongly doubt it. Exclusives are in place to take out the competition. Without competition it takes out creativity and competitive pricing. Without creativity we are forced to buy same ole same ole releases year in and year out offering the same designs, same product layout, same everything (as we can tell already from MLB and NBA).Without competitive pricing, we are forced to spend more than we want on stuff that may not give us back what we pay. Without the companies being forced to outdo one another, we are stuck with whatever they feel like releasing. It's not like we have the option to buy another companies MLB, NBA, NFL (still rumored) or NHL cards. We are stuck with that particular company. The only way out is if we give up collecting in general or buy older product. Obviously, not collecting is a big issue as we would lose our hobby and possibly push the future of the hobby in kids away, but buying older product is an issue as well because that causes problems such as expired redemptions and cards possibly sticking together from years of sitting around. Having the possibility of all four major sports in exclusives is scary. I for one, miss pro products from Upper Deck a lot. 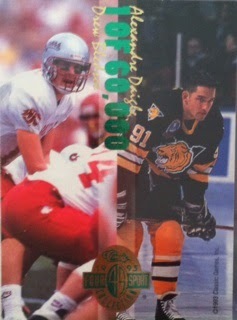 I also miss Topps basketball, hockey and possibly now football. This is why the 90's were such a great time to collect. You got to enjoy all of these sports from every major manufacturer. Sure, people say the 90's were overproduced which drove down values, in someways if you think about it, isn't what's on the market today overproduced and driving down values? 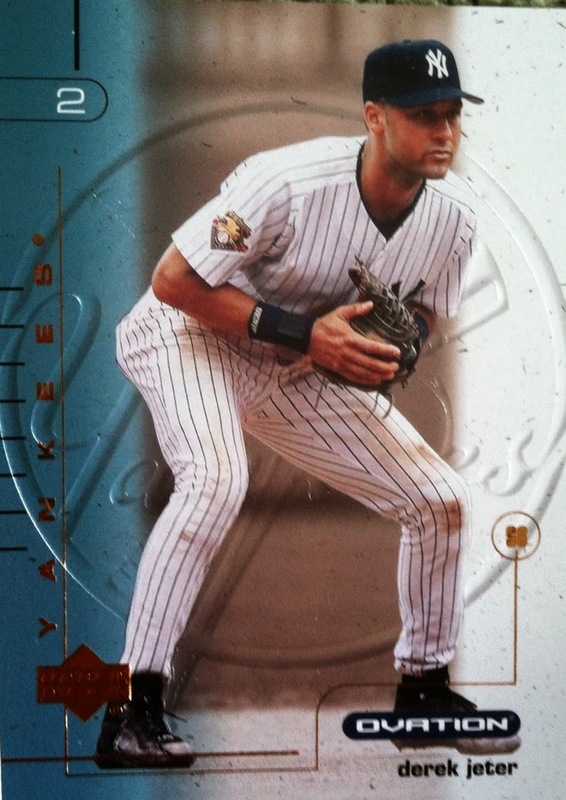 Because if you pick up a Beckett and compared values from now to 10, even 5 years ago, things have dropped immensely. However, look at the beautiful,creative, and sometimes valuable products that were put out in the 90's as opposed to today even with the so-called overproduction. The companies all had to compete against each other so we would buy their products because with every release they would put out their best to lure us in. This is why I think that the 90's were so popular in collecting and why I have gone back and bought some of those products recently. To me the hobby isn't about value, it's about fun. Isn't that what it should be? Hopefully, what was being said on Twitter is just what I called it, a rumor. If this turns out to be true, this means that another league only cares about one thing, money and we all know that money talks. What I want to know however, is if these leagues care about their "brand", whatever happened to caring about their fans who support their "brands" and listening to what they want? 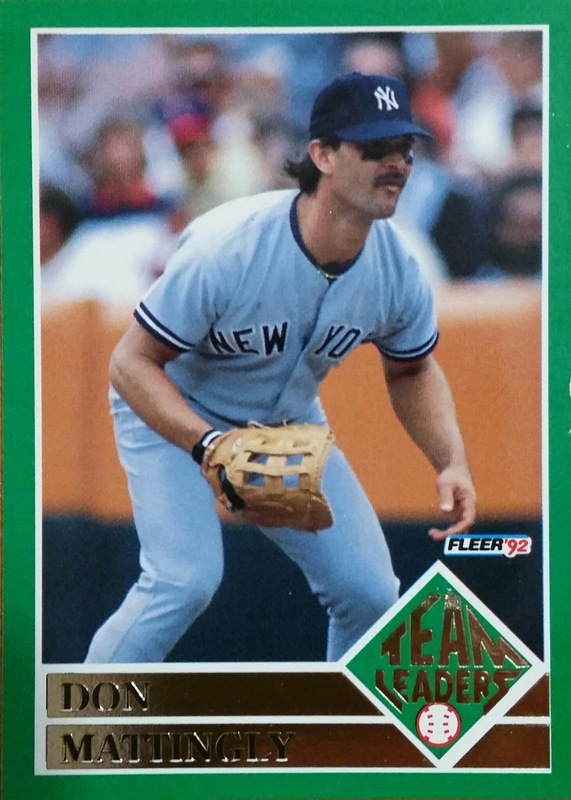 In closing, here is what I propose should happen to the hobby, I think the leagues need to give a license to all major manufacturers such as Upper Deck, Panini and Topps for the four major sports. To keep the cards valuable and not overproduced, limit the amount of products they are allowed per sport. Maybe something like 7 products per sport per manufacturer. I think if this was to happen, we would all be provided with variety, the best products these companies can put out as they would have competition, and most importantly, competitive pricing so that we all can afford to stay in the hobby we love. 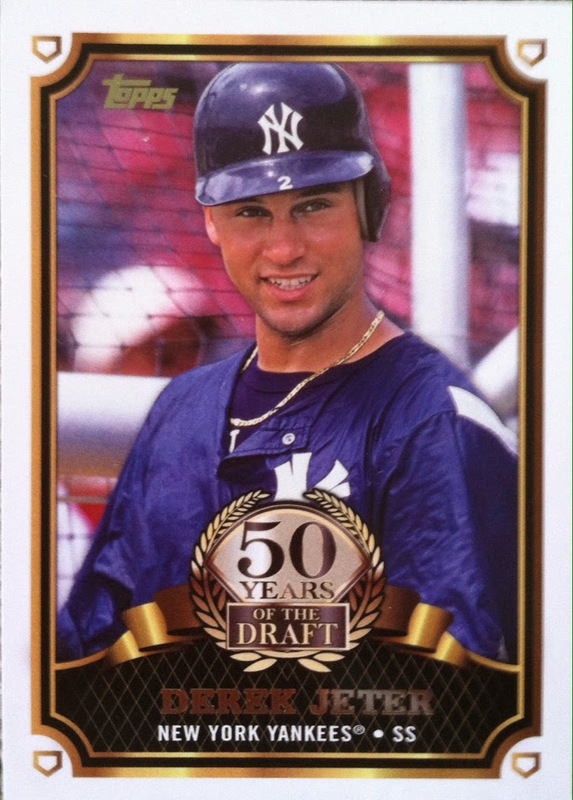 If you haven't heard yet (if you haven't you must have been hiding under a rock), this is Derek Jeter's last season in MLB. I have watched The Captain his entire career making incredible plays on the field and key hits at the plate. Despite my following, the "Cardboard Gods" must not believe in my collecting of him as he makes very rare appearances in my packs. Trying to land him is almost as tough as pulling a 1/1. So for your short viewing pleasure, I wanted to show off the Jeter's I have gotten so far this year. I must also note before you view, I haven't bought any of these as singles and that these are all pack pulled. Overall, just a whopping four cards in 2014. But, there is still a lot of baseball and card season to go! I will update you as it goes along and hopefully I will find more. If not, I will definitely dig into the PC for some to show off instead! Rashad Jennings....Best NY Giants Pickup? That got me to thinking....was Jennings the best and most important pickup this past off season for the Giants? I believe so. Last season I had to suffer through watching probably the worst running attack I have ever seen from the Giants due to an inconsistent offensive line, running back injuries and it just not coming together. With that being said, the Giants shocked me going out this off-season grabbing a new offensive line and Jennings (among 20 other moves too) to try and go back to what they do best, run the ball down your throat and play good defense.When the season starts, I believe Jennings will be the starter with the questions surrounding David Wilson's health and the other running backs on the roster not having as much talent as Jennings. Rashad was signed away from Oakland, who wanted to keep him, after one year with the team. He put up his best career season numbers yet rushing for 733 yards and 6 TD's. He also had a sweet 80 yard run that you need to Google to see. There are many things I like about the Giants picking him up, not just because he is a bulldozer of a running back with hidden speed or the fact that he will fit their system well, but I also like that he has a lot left in him. He was drafted in the 7th round of the 2009 NFL Draft by Jacksonville but doesn't have much wear and tear due to the fact he played behind MJD there before finally getting more attempts in Oakland last year. Even though he's been in the league for 6 years, the guy only has 387 attempts on his tires. Like I said, he has a lot left and hopefully many great years for the Giants. I think being in NY on a team loves to run the ball, Jennings will prove himself with big numbers and I will be there watching every second of it. Not to mention, collecting him every second as well. First off, I would like to thank all that played in this months contest. The entries were a little down which was a bit disappointing so going forward I am returning to the original format. However, before I can do that, I must announce the three winners from July. We had 4 perfect scores of all 6 games right. The total runs for all of those games played was 47 so with that being said it wasn't too hard to figure out who won this month. Congrats to the following, who have not only won for the month, you will go into the WINNERS CIRCLE for Grand Prizes in October! It appears however that one of you is already in the Circle, so that will FREE UP ONE SPOT TO BE RANDOMED OFF TO WEEKLY/MONTHLY PARTICIPANTS! So make sure you enter all of the time!! Final selection of prizes goes to...Scott N.
Here are those prizes to choose from! Wilson, you get to pick which prize you want first, followed by Mrblu and Scott N will get the remaining. Please announce that selection in comments below. Congrats to our winners this month and thanks to everyone who joined in. There are only two more months for chances into the winners circle plus I will random off a few free spots into the contest for weekly/monthly participants. So make sure to enter all of the time! Also, PLEASE remember to not only follow BCW Supplies and Jammin JDcards on Facebook and Twitter, please tell them thank you for their generosity and check out their websites for tons of great stuff! Winners please email me at sportcardcollectors@hotmail.com with your addresses and I will pass them along to the right parties. Welcome back everyone! It's that time of the month, time for a contest with my friends over at The Pack Gambler. If you haven't checked out their site yet, please do so. Also make sure you are following them on Twitter or Liking them on Facebook. Onto this months prizes....that's right...I don't even go to how to enter first I go straight for the goods!!! The Pack Gambler is also putting in a 50% off coupon to his store as well. This is quite the prize lot! To win this nice lot, you must follow these rules! First and foremost, this contest is OPEN TO U.S. AND CANADIAN RESIDENTS! Boom! Now you all can enter! HAVE FUN! AND SPREAD THE WORD! Good luck and remember your entries are due by Sunday July 27th at 8pm e.t. Also don't forget to thank The Pack Gambler for their generosity! The Return Of Ken Griffey Jr.
For about 7 years, mostly in the 90's, I collected Ken Griffey Jr BIG TIME then came the injuries upon injuries in Cincinnati and I started to see my once investment fall apart. I knew it was time to back out before it was too late. 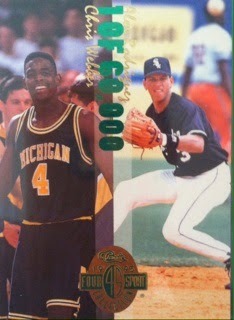 At the time I must have accumulated well over 300 different Jr cards and tons of other "stuff". I was even featured in Beckett Baseball a couple of years ago. 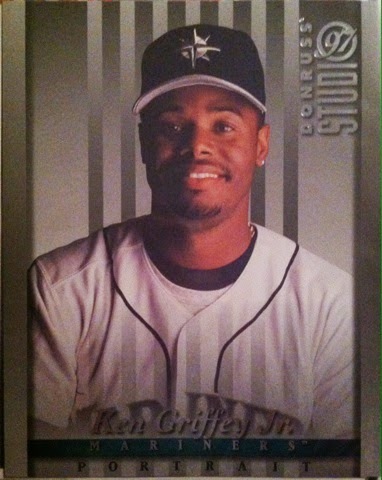 My Griffey collection wasn't something I was going to sell, it was a collection memory, one I would tuck away and look at time to time. I don't know what it was, the throwback photo or just seeing him in a pack again, but it put a smile on my face and I felt something slightly ignite. Did I truly want back in on collecting Jr. again? Could I put a focus on one player when my "Card Collecting ADHD" doesn't allow me to focus on one thing since I last collected him? I think I needed another sign. Was this a joke? 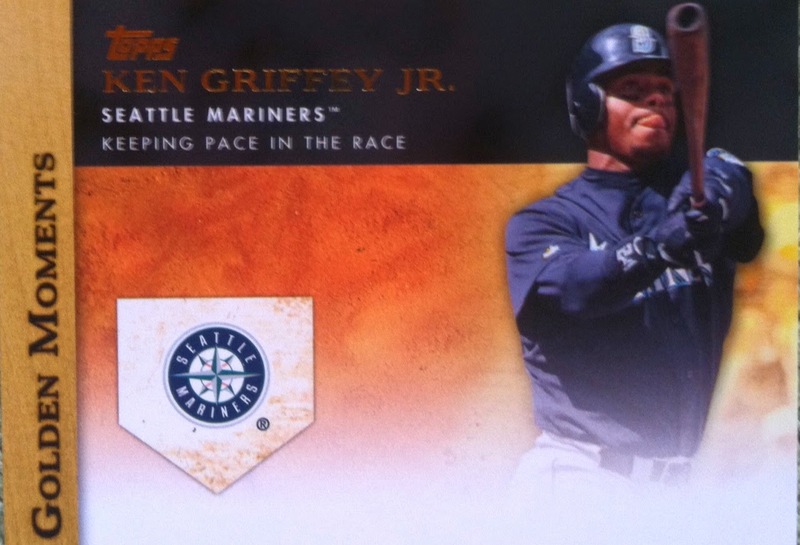 Was this part of Topps marketing campaign? Were they targeting me? Whatever it was, I wasn't complaining. I was actually very excited but at the same time cautious knowing how I have collected since I quit collecting him full-time. So for now you can say I am getting back into Jr. collecting but when that "Card Collecting ADHD" hits me again, I may not be. Either way, I plan on showing off my Jr. PC on here for fun and keep you guys updated on any new pickups as well. Wish me luck on this new, but old journey! 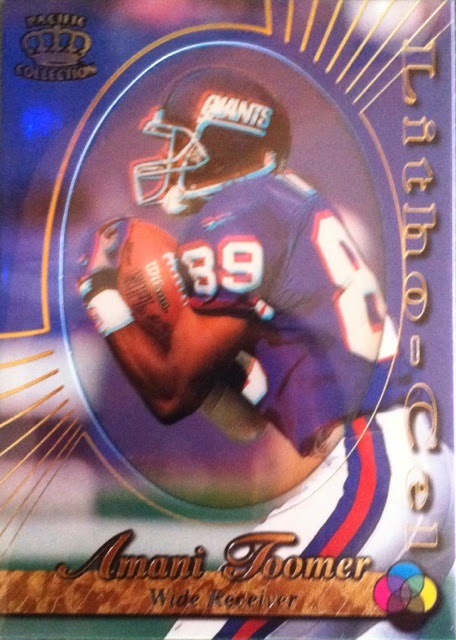 For the first Rueben Randle Card Of The Week, I wanted to show off a card that doesn't have all of the flash, but that I am a big fan of. 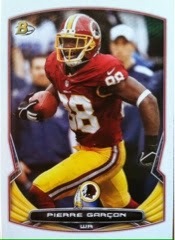 Topps releases many football products every year and some I am a fan of, but the one that I really like is Topps Prime. 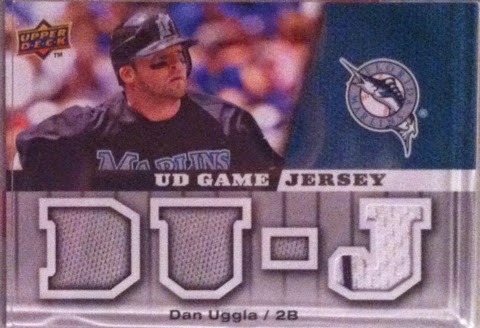 This is the only product where Topps doesn't put a border on the card or use some artsy looking design. This is all about the photography and I totally dig it. 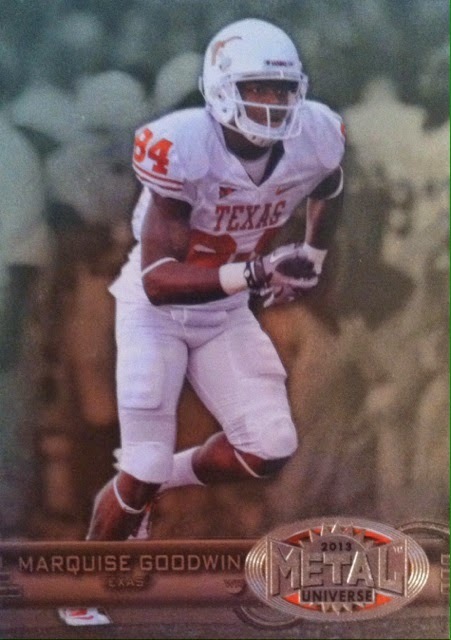 Just look at this card and tell me you don't like the clear-cut action photograph of Randle making a nice snag. Yeah, I thought so. You had nothing to say. I did it. 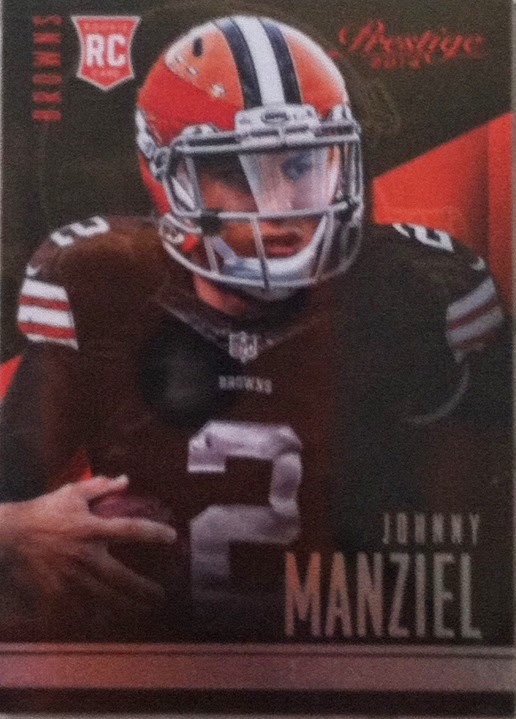 I went on eBay and bought a Johnny Manziel rookie card after having no success trying to pull him from packs. 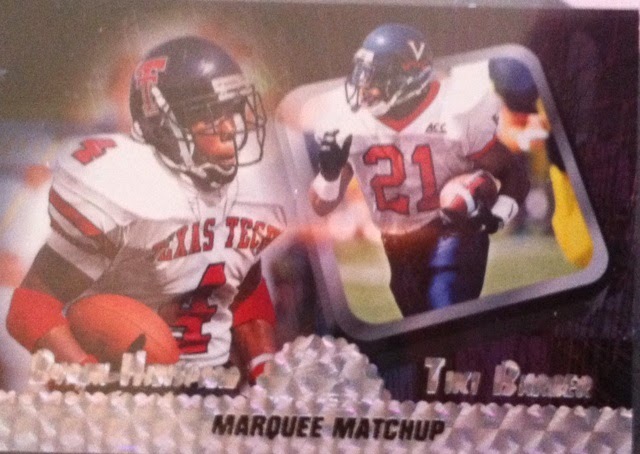 I said I wouldn't do that in this story on the Johnny Manziel rookie card search, but I did. Like I stated in that article, I do not care for his character, but since he is the hottest thing in the hobby and the fact that I am a rookie card collector, I just needed one. Like I do with any rookie. 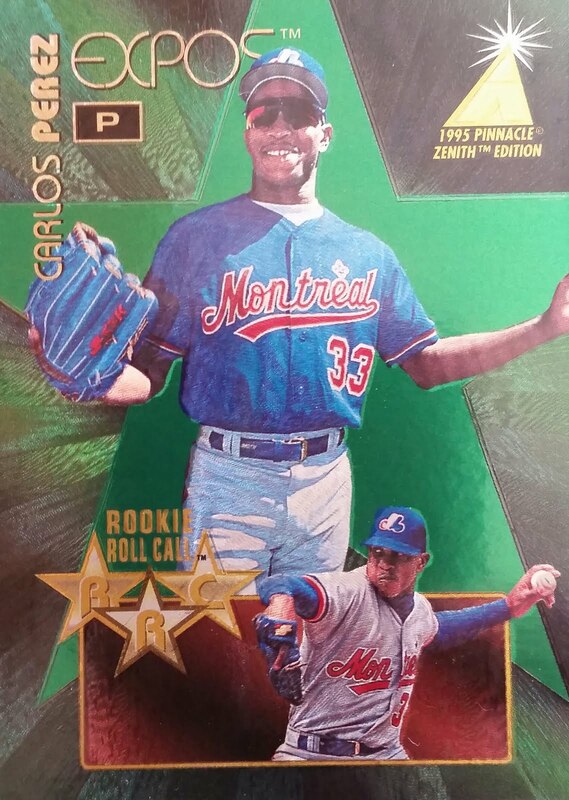 I picked up this Prestige rookie on eBay for less than $6 so it wasn't an overly huge investment, but at least I have one now. Just wanted to once again promote my new blog, The Card Bin. 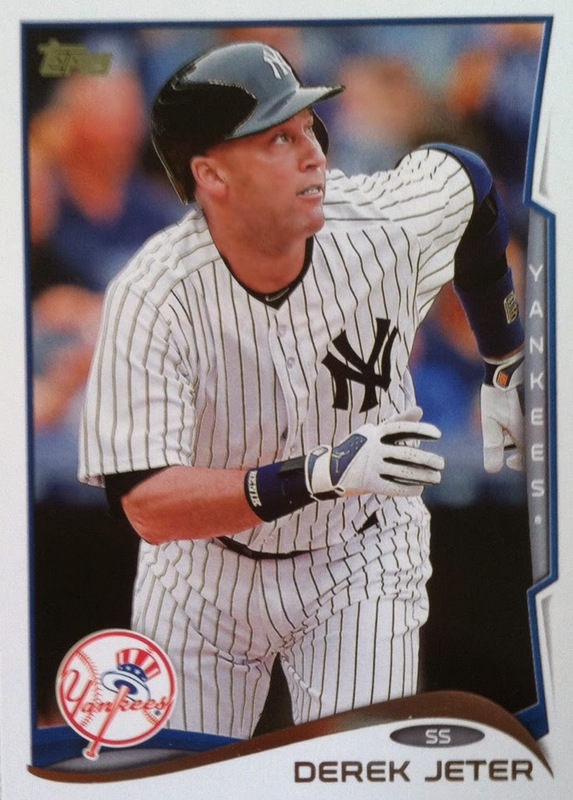 If you are a fan of checking out someone else's PC, opinion stories, card pics, mail days, pack breaks, Ken Griffey Jr, NY Giants, NY Yankees, than this is the blog for you! You can find this blog HERE. Please check the blog out and let me know your thoughts. I have put a lot of work into it and hope you enjoy all it has and will have to offer! Well, I was glad to finally see my first submission for Fan PC and it's from my friends over at @UpperDeckGOAT on Twitter. He found this idea to be fun and something that we all should participate in. Who doesn't want to show off their goods or as I call it, their bragging rights. Enough with me rambling. Let's show these off! "These last several months have been a blast & I've met some amazingly kind people through the @UpperDeckGOAT account. #UDNation has given me many lasting memories & I hope many more to come. I couldn't keep going without the genuine people in this hobby. You make it all worthwhile & I can't thank you enough! Now, let's get down to business at hand. 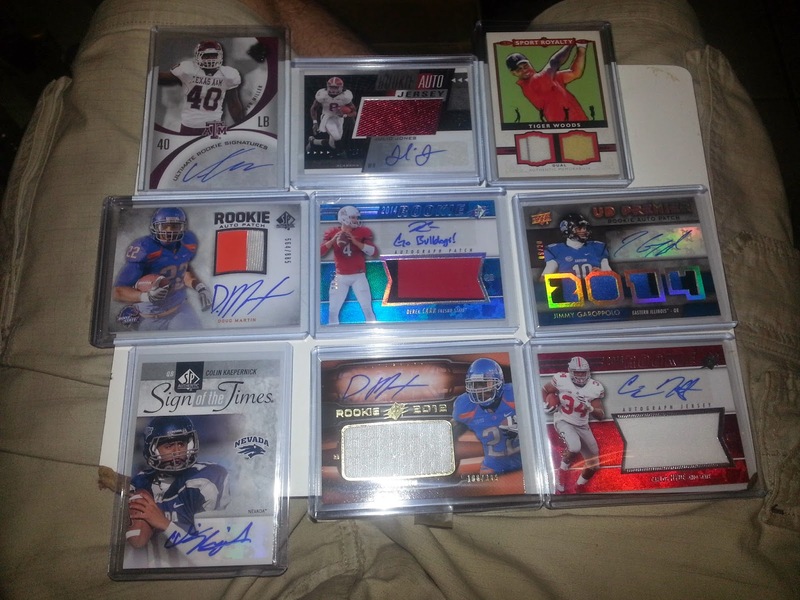 The Kind Sir at @SportCardCollectors has asked for our favorite cards in our PC. Without further adieu.....here are my favorites. Only @UpperDeckSports for my taste. Here ya go..."
I don't know about you guys, but there are some pretty sick cards in there. 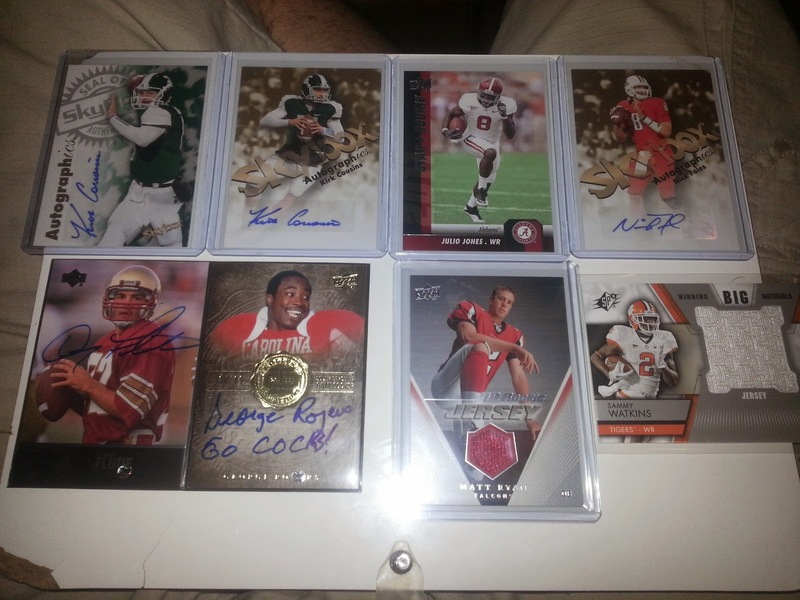 My favorites are the Kaep autos, RG3 auto and of course the PMG's. Great stuff by Upper Deck. 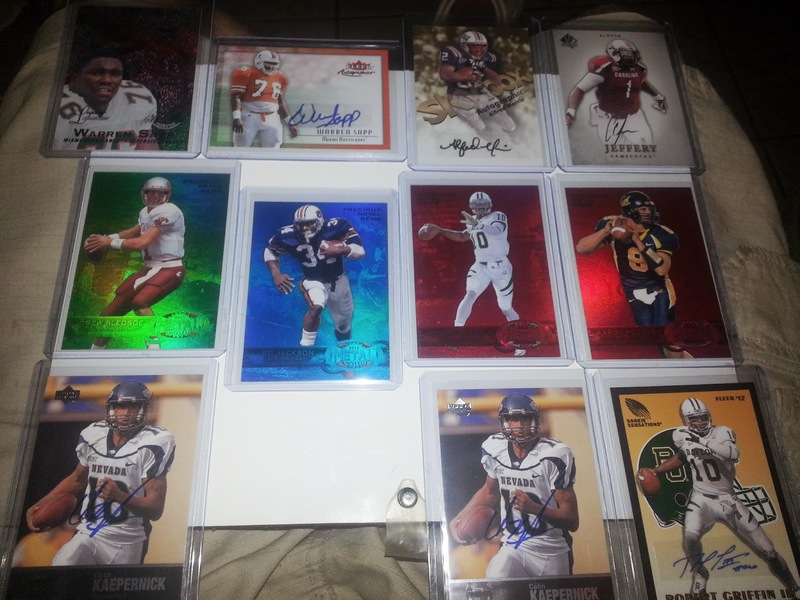 Let's hear your thoughts on @UpperDeckGOAT's collection and remember you can be featured on here as well! Just follow the link I provided above and the info is there. Thanks again to @UpperDeckGOAT for sharing this and if you are not following him on Twitter please do. Especially if you are a big Upper Deck fan.